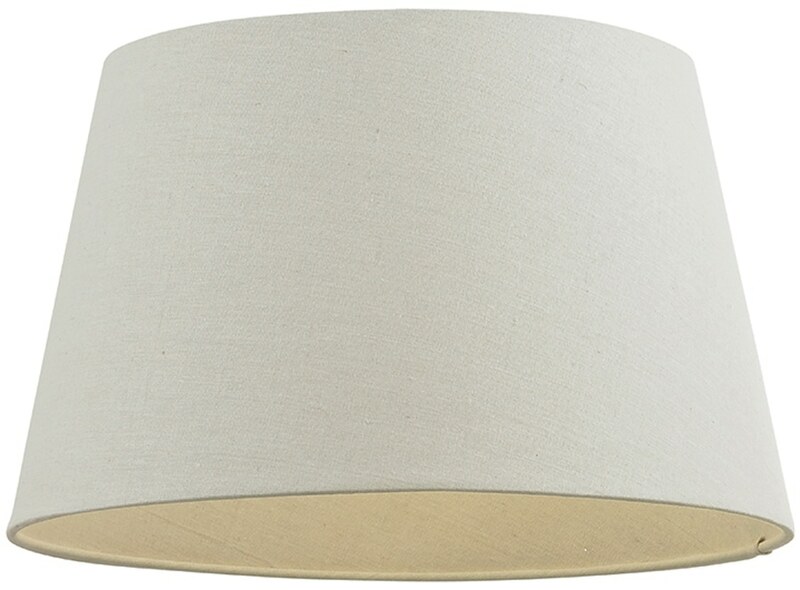 The Cici ivory fabric 12″ tapered table lamp shade, a beautiful crisp 310mm diameter ivory linen, self-lined tapered table lamp shade. Supplied with an adaptor to enable the shade to fit on either 29mm (BC) or 42mm (ES) lamp holder. 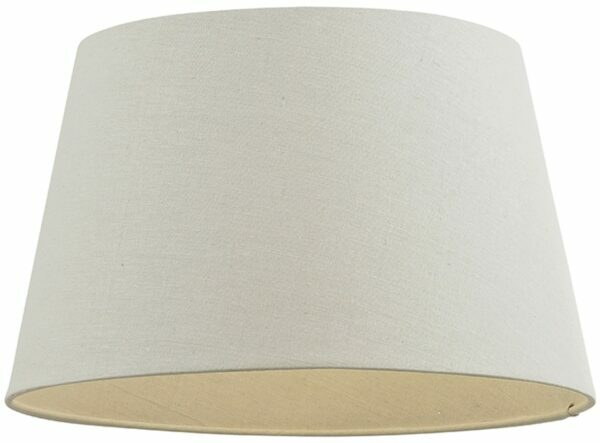 This traditional lampshade is available in 10 inch (257mm), 12 inch (307mm), 14 inch (355mm), 16 inch (406mm) and 18 inch (455mm) diameters to suit your needs. From the Cici range of lamp shades. Supplied with a manufacturers 2 year guarantee.